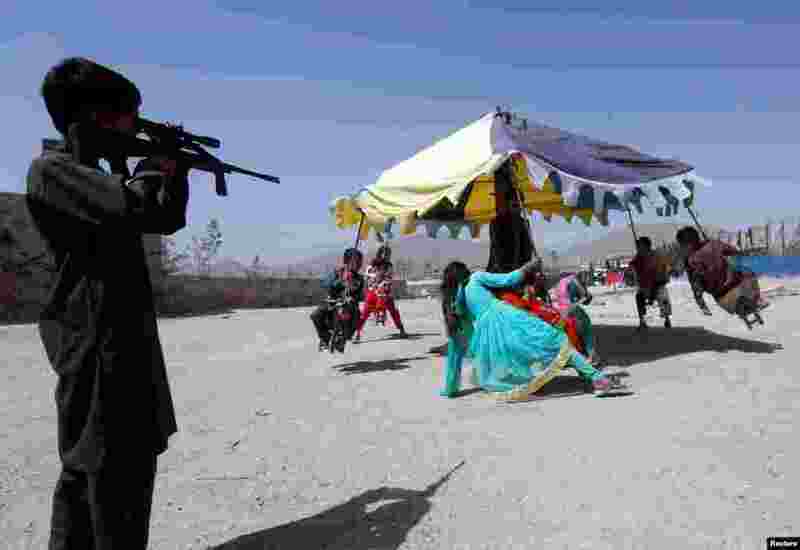 5 A boy looks through the scope of a toy gun, as other children ride on swings during the first day of the Muslim holiday of Eid al-Fitr, which marks the end of the holy month of Ramadan, in Kabul, Afghanistan. 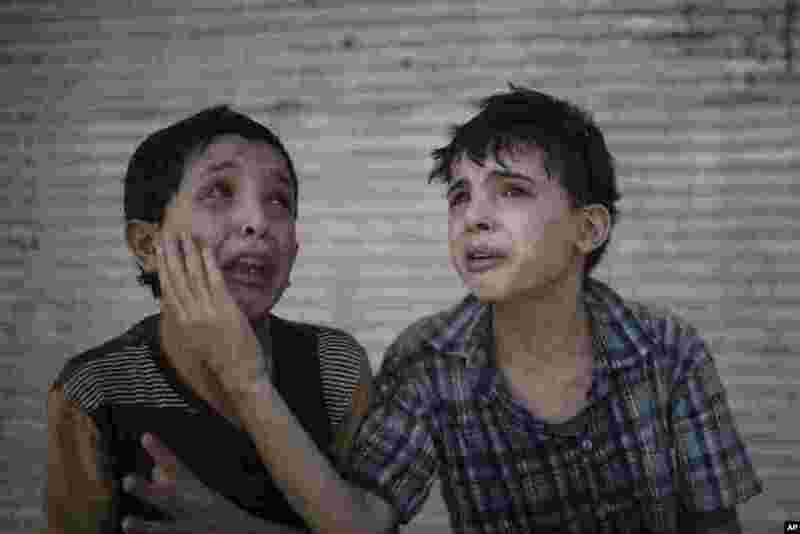 6 Zeid Ali, 12, left, and Hodayfa Ali, 11, comfort each other after their house was hit and collapsed during fighting between Iraqi forces and Islamic State militants in Mosul, Iraq, June 24, 2017. The Ali cousins said some of their family members were still under the rubble. 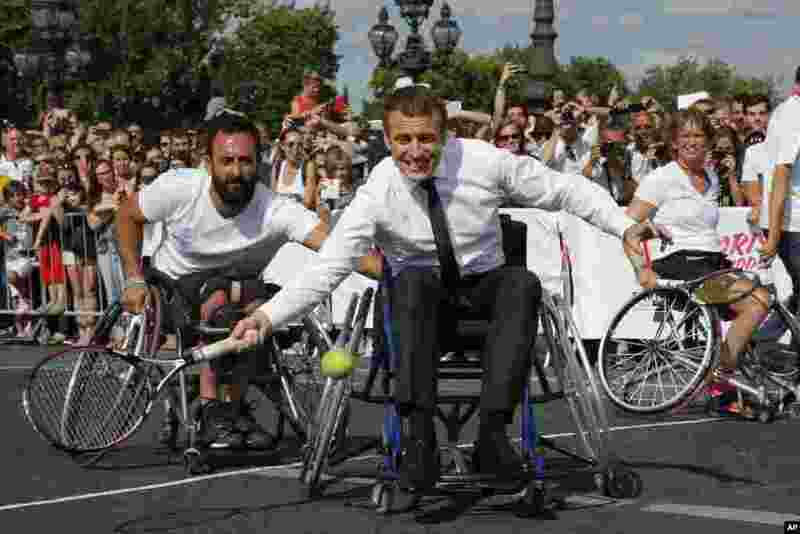 7 French President Emmanuel Macron returns the ball while sitting in a wheelchair as he plays tennis on the Pont Alexandre III in Paris, June 24, 2017. 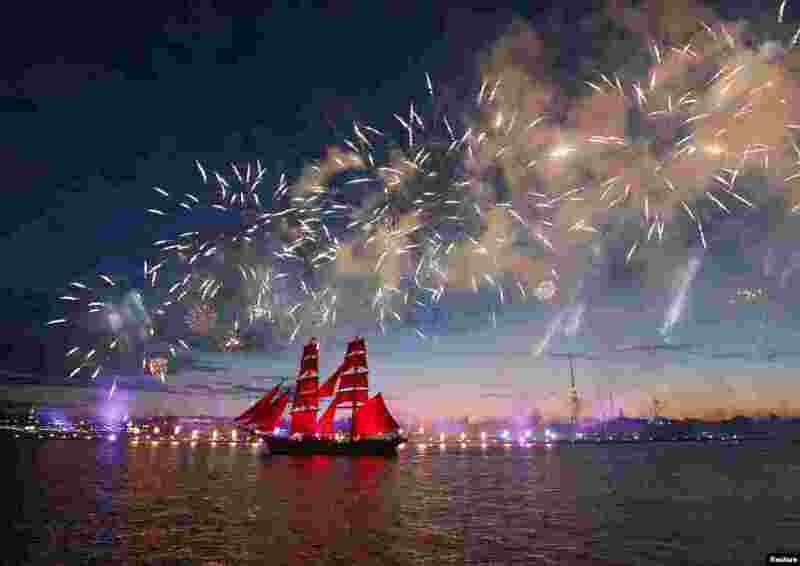 8 Fireworks explode over Sweden's brig Tre Kronor with scarlet sails which floats on the Neva River during the Scarlet Sails festivities marking school graduation, in St. Petersburg, Russia, June 24, 2017.